Will we finally get a release date? Cyberpunk 2077, easily one of the most anticipated games at the moment will thankfully be making an appearance at E3 this year. Developers, CD Projekt Red confirmed the news in a short tweet but did not divulge any further information. CD Projekt has remained characteristically tight-lipped on the game since its initial announcement. 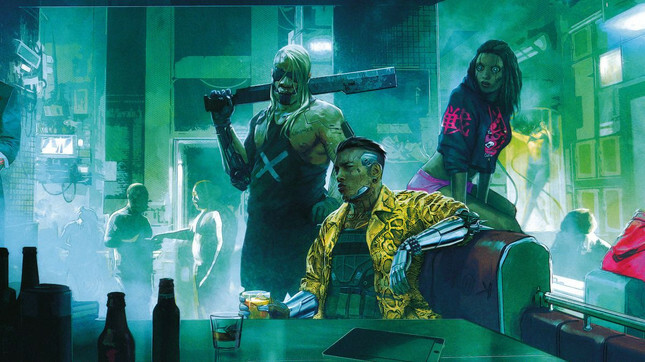 The developers finally showed off Cyberpunk 2077's gameplay late last year, a massive six years after we first heard of the game's existence. The developers have not divulged any further details on what we can expect to see, but my money is on a new trailer or gameplay and a release date. I'm still doubtful that we'll see the game this year, but one can dream. With the recent news that Microsoft will be showing off its next-gen console at E3 this year, I wouldn't be surprised if we see the game releasing on next-gen systems along with the current gen, similar to what we saw with Grand Theft Auto V.
If CD Projekt confirm a release date, do you think it will be this year or next?